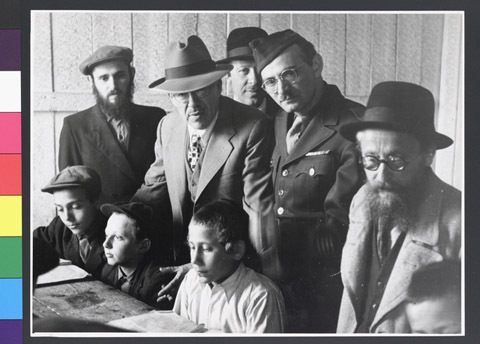 JDC - Archives : A representative of the Central Orthodox Committee visits yeshiva students in the Pocking DP camp. Title A representative of the Central Orthodox Committee visits yeshiva students in the Pocking DP camp. Description Dr. Samuel Sar, Europen representative of the Central Orthodox Committee, talks with the youngest yeshiva students in the Pocking DP camp. On his left is Rabbi Solomon Shapiro, JDC religious director.